Review – The Beatles: Rock Band – The Fab Four Invade Your Living Room! The first impressions given off at E3 about The Beatles: Rock Band were fantastic. The game was designed with Paul, Ringo, Yoko, Olivia and Dhani Harrison. Does the hype measure up to the game? It's definitely Rock Band; it's just not the same as Rock Band 2. Is the game is good? Does it live up to the hype? Actually, it's better than good; it's great! 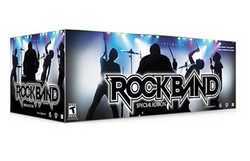 And The Beatles: Rock Band will make a great gift this holiday season! A Mac Edition Radio Holiday Gift Guide Pick! I generally try to avoid using the term"best ever" because whenever I do, something always seems to come along and top it. However, I think that now would be a good time to make an exception! 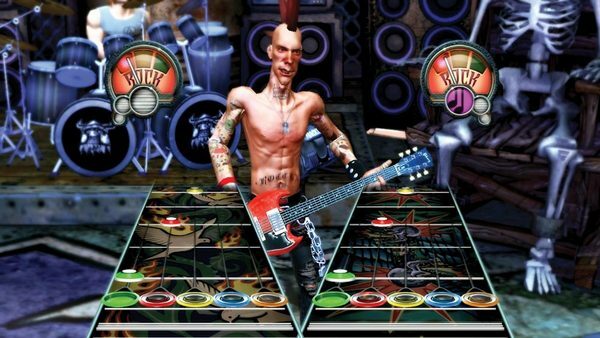 So here goes nothing: Rock Band, from Harmonix, Pi Studios, EA, and MTV Games, could quite possibly be the greatest rhythm and music game yet created. The main reason I say it's so good because the core gameplay remains strong on the Nintendo Wii, and that is what gives Rock Band its appeal. 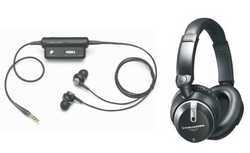 Review - Two Noise-Cancelling Headphones from Audio-Technica Make Traveling A Little Bit Less Stressful! A few years ago, if you wanted active noise-cancelling headphones or earphones, you had only a few choices. As travelers soon discovered, the combination of an iPod or laptop computer and some good headphones or earphones could help to balance the stresses of modern travel. We have tested a wide-variety of models, and found that two models from venerable audio manufacturer Audio-Technica consistently ranked among our favorites, and as such, the ATH-ANC7 headphones and their in-the-ear ATH-ANCR cousins represent that rare balance of great audio at an affordable price. Writer A. D. Coleman bids farewell to end-of-life application AppleWorks, reminisces about his love affairs (and one-night stands) with other word processors and productivity suites WordPerfect, Mariner Write, and NeoOffice, and takes the plunge at long last, making himself at home in a stripped-down, customized version of Microsoft's Office for Mac 2008's latest iteration of Word. Achieving an accurate white balance has been the bane of photographers working in color since the invention of color photography. Fast-forward to the digital age, and white balance is simply a click away, or at least so most people think. Set your camera to automatic white balance and usually the results are reasonably good. So, what do you do if you want really accurate color balance? 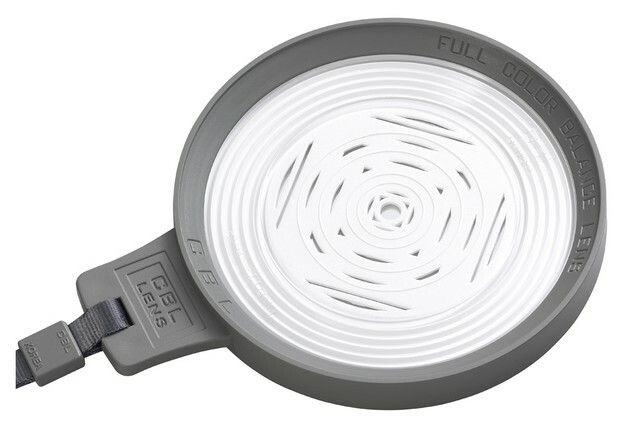 The key is the use of a calibrated target such as the ExpoDisc or CBL's Color Balance Lens so you can accurately and quickly set a custom white balance. FileMaker Pro 9 and an Open-Source Freeware Solution Make a Perfect Match for a Professional Writer! 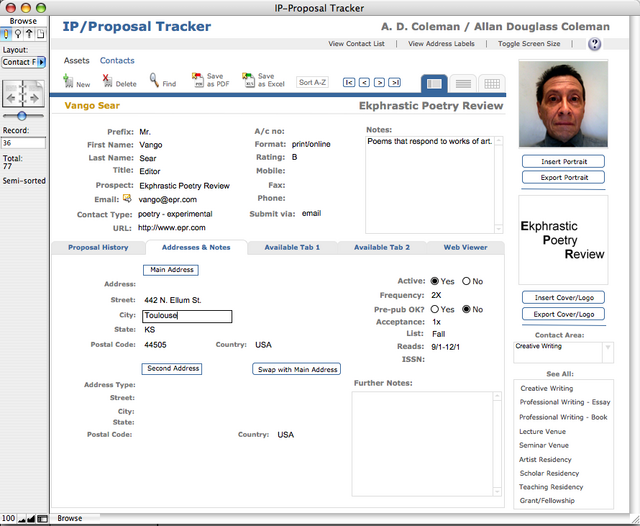 Internationally published author and self-proclaimed "geezer geek" A. D. Coleman used FileMaker Pro 9 and "lateral thinking" to evolve IP-Proposal Tracker, a Filemaker Pro 9 solution that enables him to track his submissions of manuscripts, other items of intellectual property that he seeks to publish, plus proposals for grants and various forms of support. 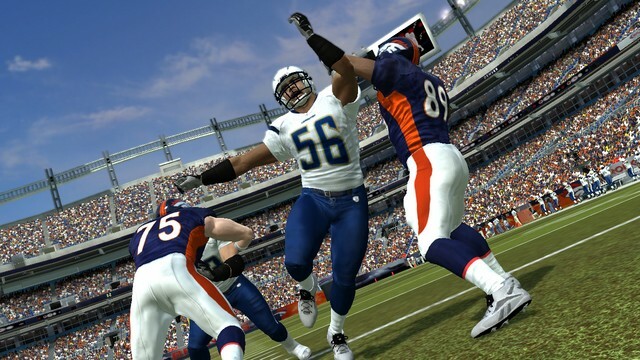 Madden NFL 08 is the latest in a long series of football sim games, and it is one of the most fun to play. 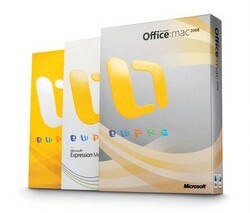 Madden is one of the few games that publisher EA Games has released for the Mac, along with other titles such as Need For Speed: Carbon and Battlefield 2142. Madden is one of the better games they have released, in my opinion, and the 08 version gives you all the excitement and fun as the previous Madden football games. This crowd is getting anxious, I realize. Oh, why didn't we just buy a drum machine? At least a drum machine might show up to gigs on time. Luckily, I don't have to wait much longer since, in a rather Who-esque fashion, we pluck out an audience member who claims to be a decent drummer. (Drummers!) So with our percussionist finally in place, I start the opening chords to Foghat's Slow Ride and my band kicks in, too. I'm not really at a gig, just playing Aspyr Media's new title, Guitar Hero III: Legends of Rock, for the Mac. Oppo DV-980H - 1080p Up-Converting Universal DVD Player Delivers Great Sound at a Budget Price! Audiophiles are a tough bunch to please. If you've ever walked into the showroom of a high-end audio store, you would be hard pressed to find systems priced less than ten grand at the low-end. Naturally, the secret desire of most audiophiles is that bargain system that sounds as good as the outrageously priced one. While it's a bit of an impossible dream, when an affordable product emerges that deserves serious consideration, an underground whispering campaign begins. Check out the Oppo DV-980H, an affordable Universal DVD player that can play normal DVDs and CDs, but also SACD and DVD-A formats in addition to a slew of others. 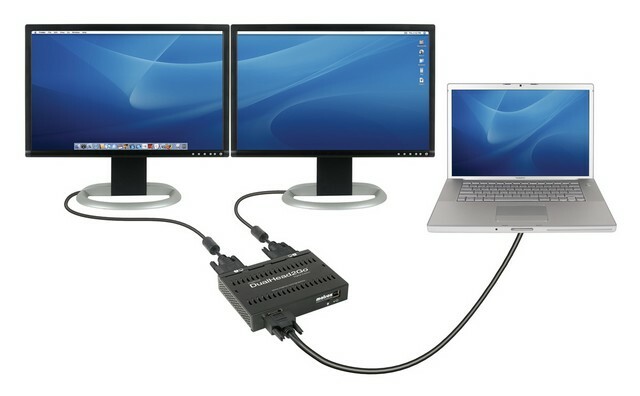 If you've ever needed an extra display or monitor, but had a computer like Apple's Mac Mini with only a single video-out, the Matrox DualHead2Go is the solution, and provides the ability to have multiple monitors, an extended desktop, or mirrored video.